Music social network Whyd has raised $700,000 from angel investors, including business angel & entrepreneur Serge Alleyne, and opened up their network to the public, after a year-long private beta. Allowing users to share songs from video services like YouTube, Vimeo & Dailymotion, as well as audio services like Soundcloud, Whyd finds itself at the intersection of several sources of music online, hoping to capitalize on the fairly recent phenomenon of having music be entirely in the cloud. 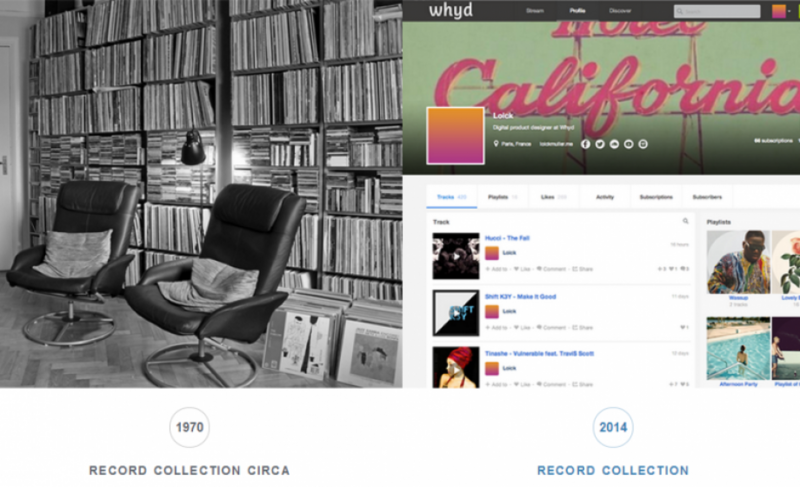 In the past year, the startup founded by Gilles Poupardin & Jie Meng-Gérard has seen tens of thousands of private beta users share over half a million tracks to Whyd – whether it be a unknown DJ’s recent sample on Soundcloud, or a Top 40 hit from YouTube – and Whyd plans to add even more music sources – Spotify, Rdio & Songza are on the roadmap – as well as expand internationally. The online music streaming business is quite competitive. iTunes is seeing its market share being eaten away at (iTunes saw its sales drop for the first time last year) by Deezer, Spotify, Pandora, Rdio & even Amazon & Google’s music services, not to mention the slew of free music services like Soundcloud, YouTube, or Grooveshark; however, Whyd isn’t trying to be the online record store – they’re trying to be your online Music Library. You get your bootlegs from YouTube, the top hits from Spotify, the B-Sides from Vimeo, and how do you keep them together? Spotify will never let you upload DVDs & live sets, and Soundcloud will take down unauthorized music. Somewhere in the Bay Area, I have a literal crate of B-sides, bootlegs, VHS tapes & DVDs of Nirvana concerts – I think it’s 26 albums in total – and Whyd is the first service that allows me to not only keep those in one place (Jolicloud lets me connect all sorts of services), but lets me listen to them, share them with friends, and build upon them. Whyd’s ambitious vision has made it a fan favorite among the Paris Startup Scene in the past year – co-founder Gilles Poupardin feels like someone you want to see succeed, and they’ve been getting their hands dirty trying to build upon the existing product, evolve it, and make it fundable. The big bet for Whyd will be whether they can become as easy to use as a record collection is to maintain – their Whyd Bookmarklet leaves a bit to the imagination, and the product just isn’t sticky enough for me today. I came back to my account after about 12 months of inactivity, and while I want the product to work, it’s just not engaging enough. WIth Spotify & Deezer changing the way people listen to music in the cloud, Whyd certainly has its work cut out for them – all they need to do now is convince people that Whyd is a better place to collect music than in Spotify & Deezer’s own playlist sections.